For 120 years our family has had the honor and privilege of serving the community. Over that time we have developed a reputation for excellence in all of our services, and we provide these funeral services with respect for the personal wishes and financial realities of each individual family. This website is an extension of that excellence, and our commitment to reaching out to those in need. Family owned and operated since inception, we greatly appreciate the relationships forged within the community and beyond. And we look forward to forging new relationships in our second century of service. Our Scranton funeral home is state-of-the-art, yet it is a warm and comfortable environment for remembering your loved one. We are also available for off-site services and out-of-town arrangements. Our service ranks alongside the finest funeral homes in the country. Please take the time to review our services, and if you have any questions feel free to or call us at (570)343-6416. Thank you for choosing us in your time of need. 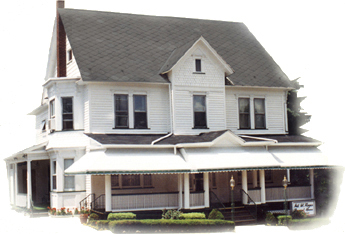 Neil W. Regan Funeral Home is an independent, family owned and operated business, not affiliated with any other Scranton funeral homes.